What are Controlled Release Fertilizers (CRF)? 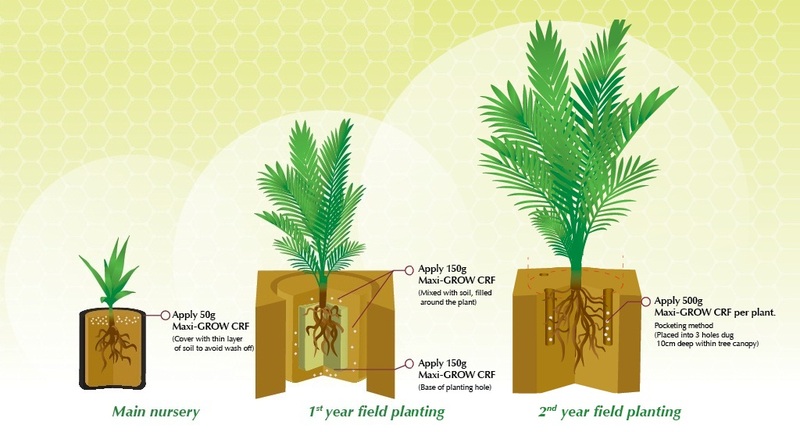 Similar to slow release fertilizer, CRF is an unique fertilizers that provide uniform and constant release of nutrients over a period of time for optimum plant uptake. Differ from slow release fertilizer, the release of nutrients from the fertilizer is controlled by a special polymer coating. When exposed to the atmosphere, the granular CRF absorbs moisture and the coating will break down and release the nutrients slowly and constantly. Maxi-GROW is a Controlled Release Fertilizer, specially coated with polymer to provide long term, uniform and sustained release of nutrients to agricultural crops. It is a granular fertilizer both for application in polybags plants on nursery and for open field based application. It provides crops with essential nutrients for enhanced vigour and growth in initial and post development. Maxi-GROW can be tailor-made with different NPK ratios to meet customer requirements. 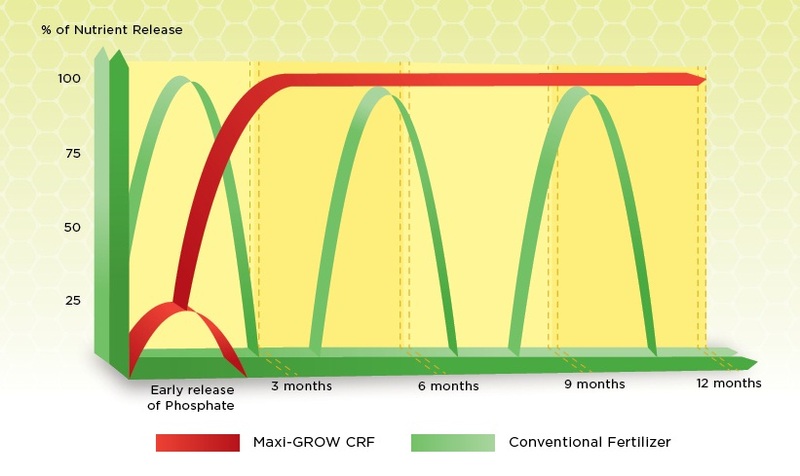 The controlled-release formulation in Maxi-GROW CRF release nutrients over several months. The release rate is determined only by the soil temperature. The higher temperature, the faster the release rate. Soil water content, soil pH, and microbial activity do not affect the release significantly. 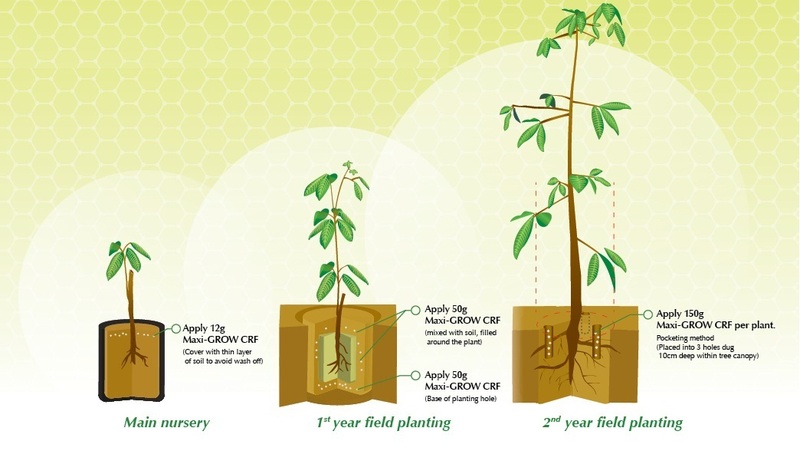 For optimum effect, the recommended dosage of application for the Maxi-GROW CRF is outlined below from the main nursery stage to the second year field planting stage.